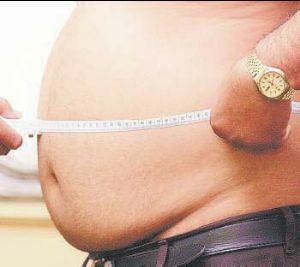 I recently read a Tamil article which detailed the different advantages of having a pot belly. Inspired from that article, I am writing this article which lists out the various uses of having a pot belly. I am adding my own thoughts too with my own nutcrackers. 1) When you fall face down on the ground, the pot belly will protect your face from hitting the ground. If there is no pot belly there is a high chance of you breaking your nose, hurting your eyes, breaking your teeth and having a bad head injury which in turn will result in brain damage. So pot belly is actually a life saving attachment for your body. 2) It is one of the most wonderful time-pass object in the world. When you are bored and when you have nothing to do, you can scratch your pot belly. You can sit on a chair and scratch your belly. You can also stand and scratch your belly. Some times, you can even lie on your back and slowly scratch your belly. It give an awesome feeling to you. The bigger the belly, the greater the feeling. 3) It is also a wonderful play station for children. Children can use the pot belly as punching bags. If the person with the pot belly lies on his back, the children can play sliding down his pot belly. This increases the blood flow of little children and also their appetite. It also increases the brain power of the children and they become better citizens of the country. 4) When you don't have a table to keep your laptop, you can use your own belly to keep the laptop. Also you can write by keeping a notebook on your belly. So it actually acts as a table too. 5) If you have a fluffy pot belly, many people can use your belly as a pillow while sleeping. When you are touring with your family and if you had forgotten to take a pillow, you can use your belly as a pillow for your family. 6) When you walk in the sun, your belly will act as a shield to your feet, and toes. It blocks sun rays from reaching your toes. So it helps you from not dehydration. 7) If you are in a music concert and if the musician who plays the ghatam [ link ] had forgotten to bring the ghatam, you can ask him to use your tummy. Your tummy becomes a music instrument too. Make sure that you don't suffer from gastric problem when he plays your tummy. 8) If you have a big tummy, your respect increases. Examples are Policemen, Politicians. 9) Pregnant women carry the baby only for nine months. But when you have a pot belly, you carry it for life. People with pot belly are actually people who sacrifice their life for themselves. I salute them.